In 2016 we continued to grow our goat herd and gave guinea hogs a try as well. We bred the goats for 2017, enjoyed a very successful and adorable kidding season and ended the year with the end of our goat husbandry days. 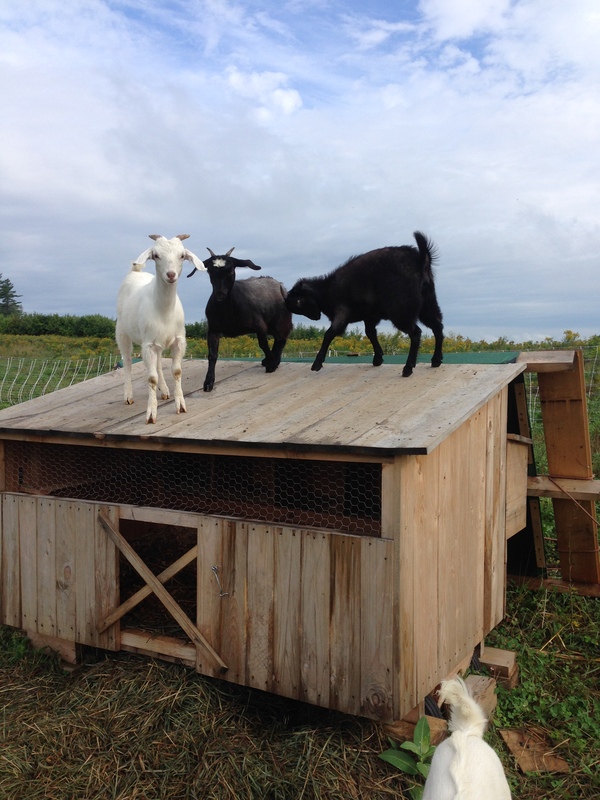 The goats were a wonderful addition to our farm while we had them but did not fit into a sustainable system on our farm. Speaking of wonderful critters on the farm, in 2016 we also added our best farm companion yet, Charcoal. Charcoal works on the farm as primary herder, guardian, chicken catcher and napper! 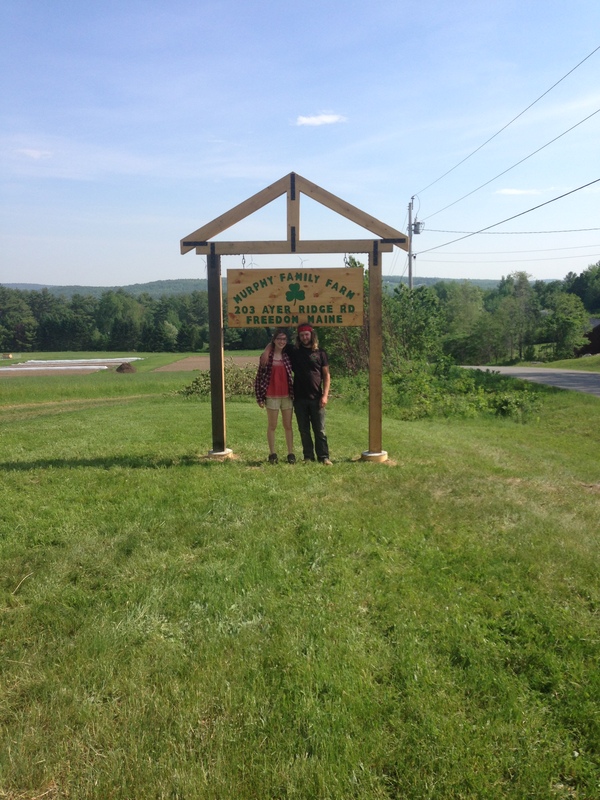 In 2016 Anna’s parents also moved up to Maine and purchased the old Schartner Farm in Thorndike, now known as Mueller’s Fruit Farm. 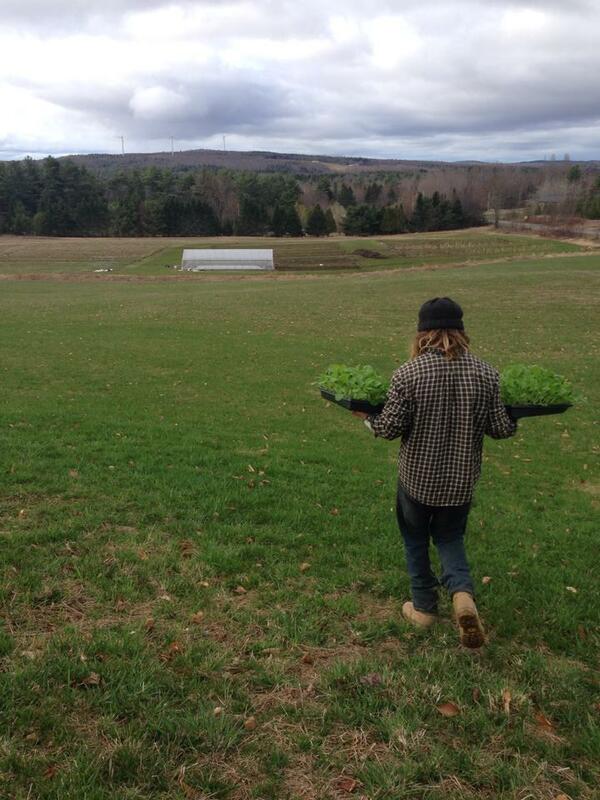 We market together at our various Mount Desert Island farmers markets to sell our vegetables with their fruit. 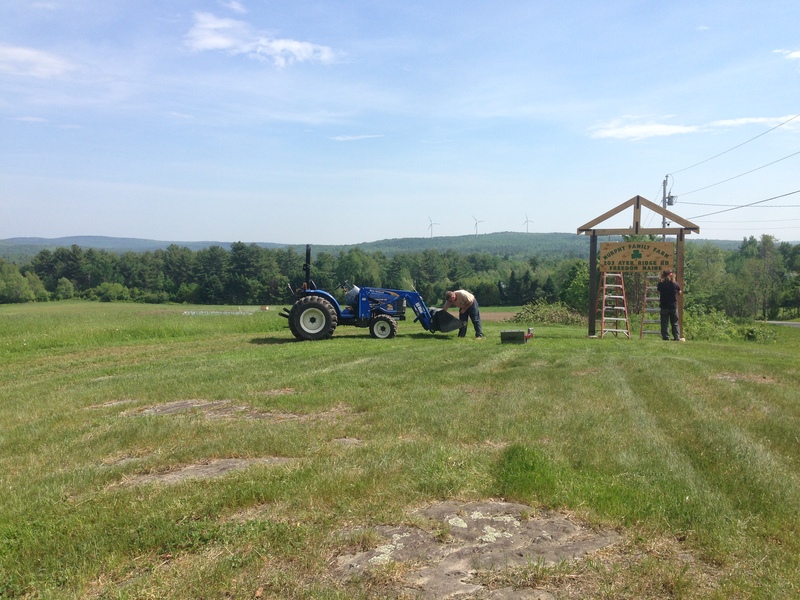 They also have a farm store in Thorndike, right off of Route 220, open throughout the season. So, what about the vegetables, the perennials and the rest of the farm?! 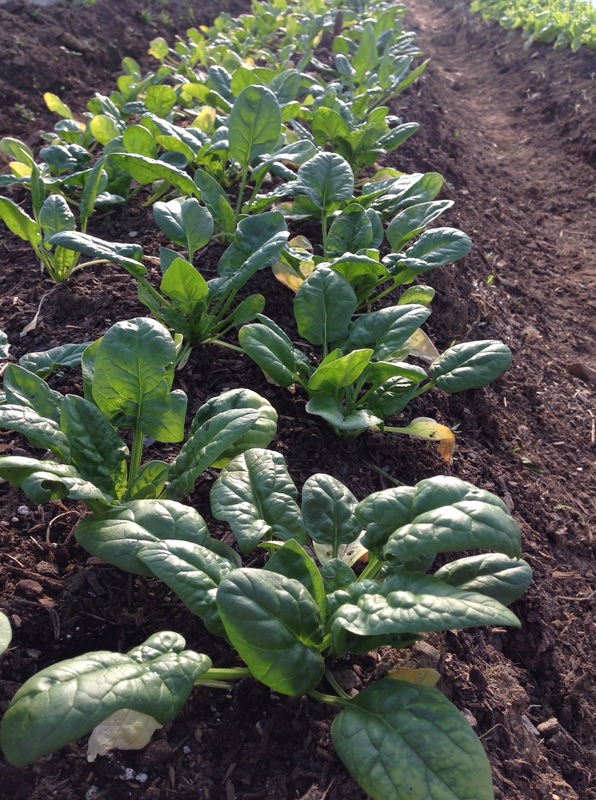 The vegetables are as delicious, fresh and unsprayed as ever! 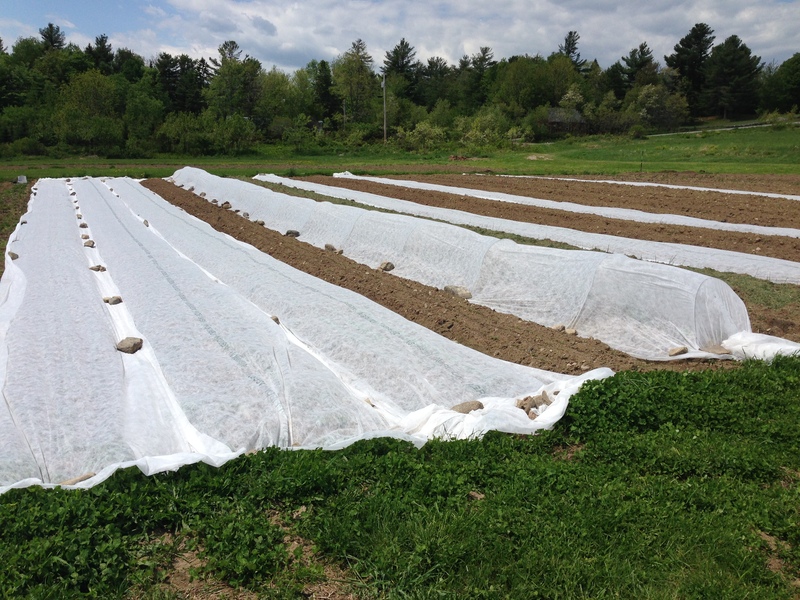 We have expanded into 3 acres of production and continue to grow new potatoes, baby carrots, greens, beans, tomatoes, cucumbers, squash, alliums and kohl crops. As we have continued to grow these crops we are finding our favorite varieties and limiting ourselves to those as we begin to embark on our new value-added endeavor of seed saving, both for the farm and to sell. We have continued to plant perennials as we plan for the future including a couple of high-bush blueberry patches, a heritage apple orchard and more to come. We added another adjoining 5 acres to the farm in 2016 of shrubby wooded land, which the pigs worked to clean up a bit. We plan to plant a peach grove on its northern slope and are in the process of planting a cherry orchard as well. The future sounds sweet, fruity and succulent. Where are we now? 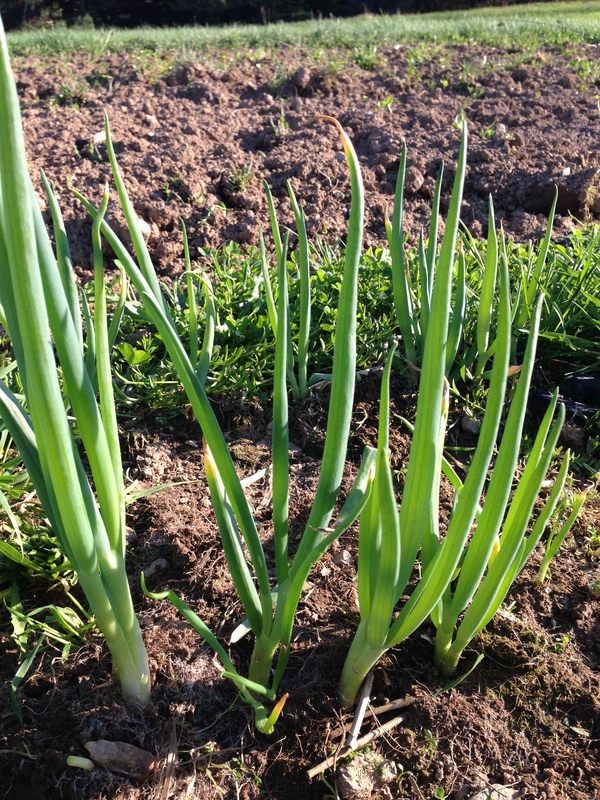 We are in another long cold spring, itching to get out into the fields and get going. March certainly did come in like a lion but did not leave like a lamb…as we wait we prep what we can and get our hands dirty wherever possible. We have exciting plans for this season including new product lines, more family hands on the farm and less baaahh-ing distractions! This entry was posted in Farm on April 20, 2018 by Murphy Family Farm. Wow, it may just be us but doesn’t it seem like this summer has just flown by? It is hard to believe that it is already September. 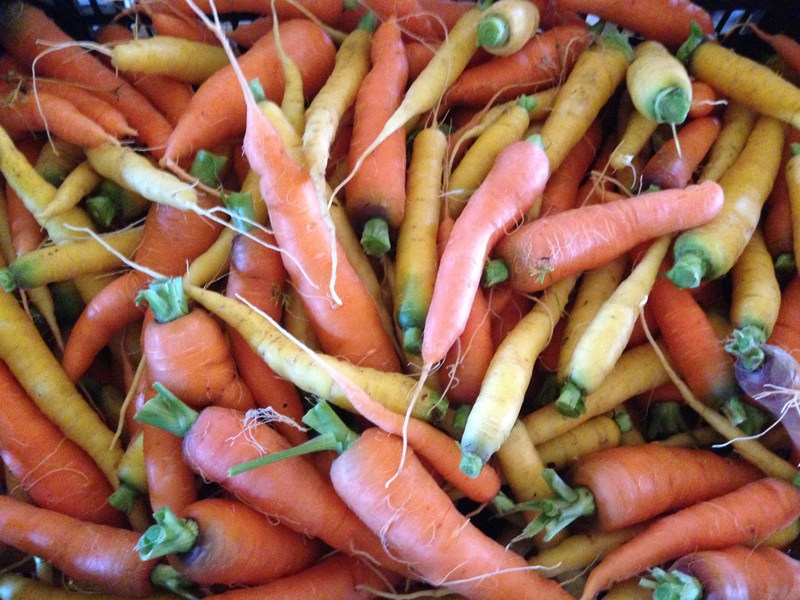 Our CSA and markets are coming closer to wrapping up but our fields are still producing bountiful amounts of baby carrots, potatoes, greens, and more! 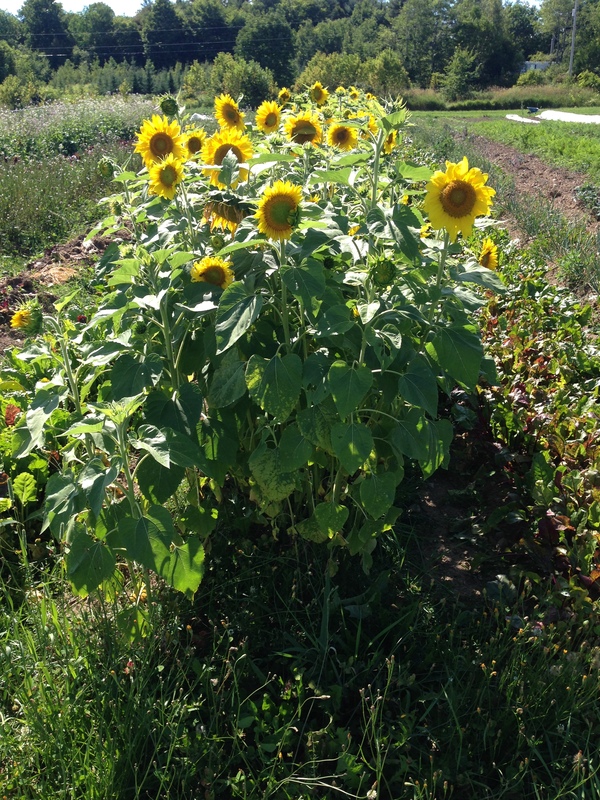 As fall approaches our corn is growing quickly and our sunflowers are coming to the end of their reign. We have had a great season thus far and plan to end it accordingly and are already planning for next year. This year a focus of our farm has been saving our own seeds. 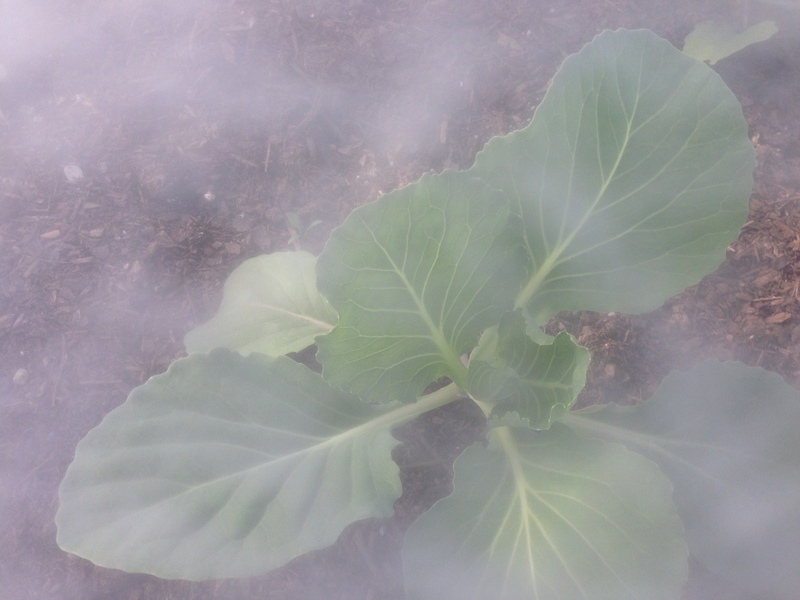 This fall all the kale and mustard will be grown from our own saved seeds, this is a very exciting venture for us and allows us to become self-sufficient and not dependent on seed companies who may have a crop failure certain years or may choose to stop offering certain varieties we depend on. 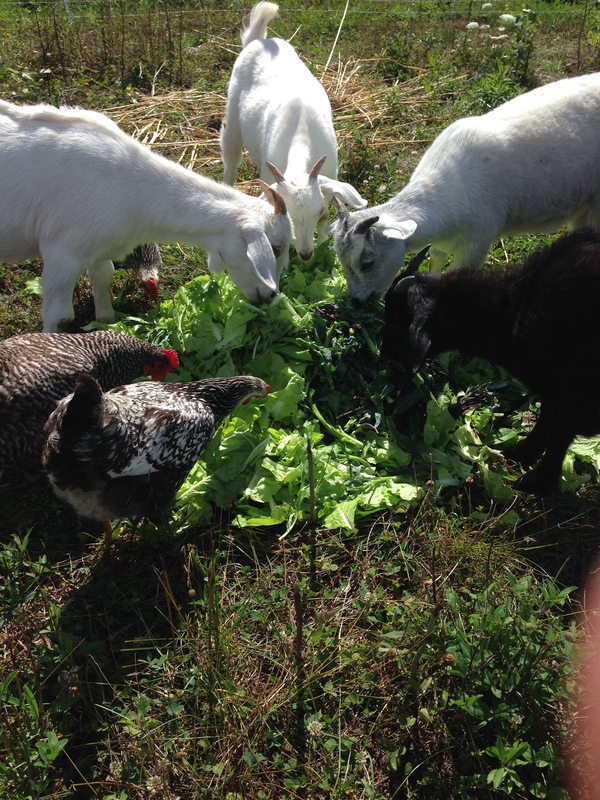 Throughout the summer we have been feeding our chickens and goats with our leftover produce, it gives them quite a feast that they all enjoy together. Our goats have grown quite a bit since the beginning of the season and are just as playful and silly as ever. Life on the farm has been busy but good. 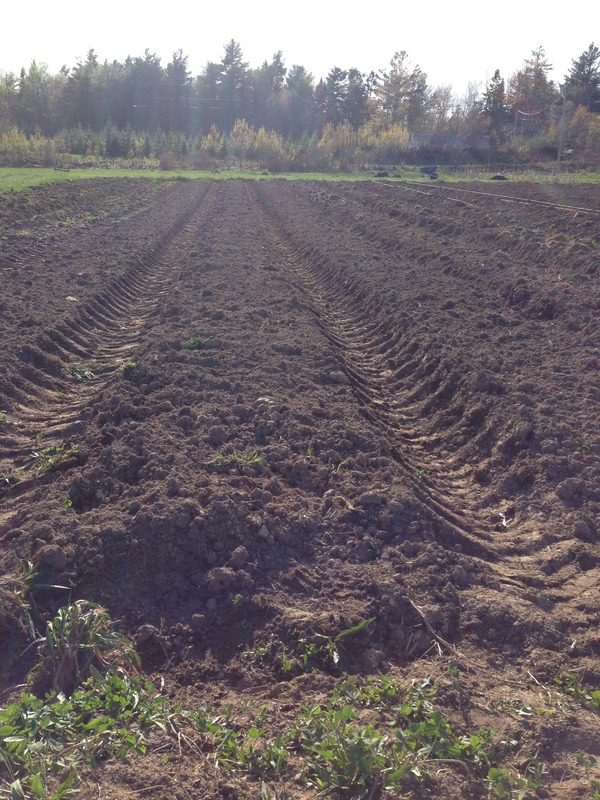 We look forward to a pleasant fall, a restful winter, and another great season shortly after, but until then there are still a few months left of hard labor, perfect working weather, and delicious farm fresh foods. 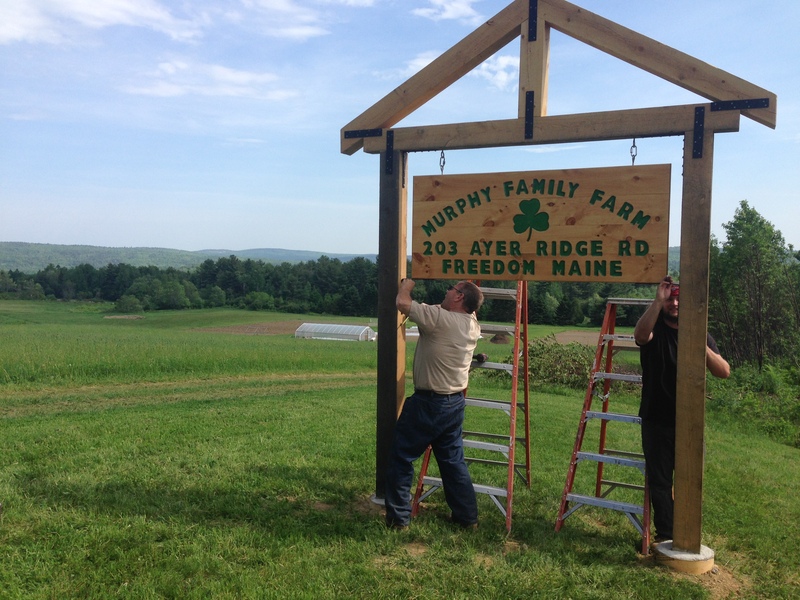 This entry was posted in Farm on September 15, 2015 by Murphy Family Farm. Now that we have put up our new sign in Freedom, and now that you know who we are we just wanted to introduce ourselves. 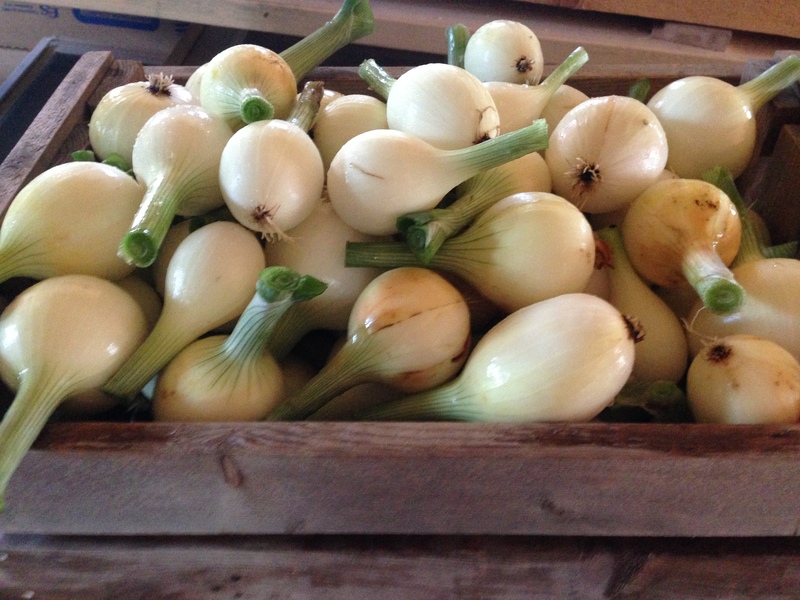 We are Murphy Family Farm and we grow diversified vegetables and will be having a market this summer right down the street at Freedom General on Sundays. Come on by and say hello if you see us out in the fields or at the market and let us know what you would like to see. 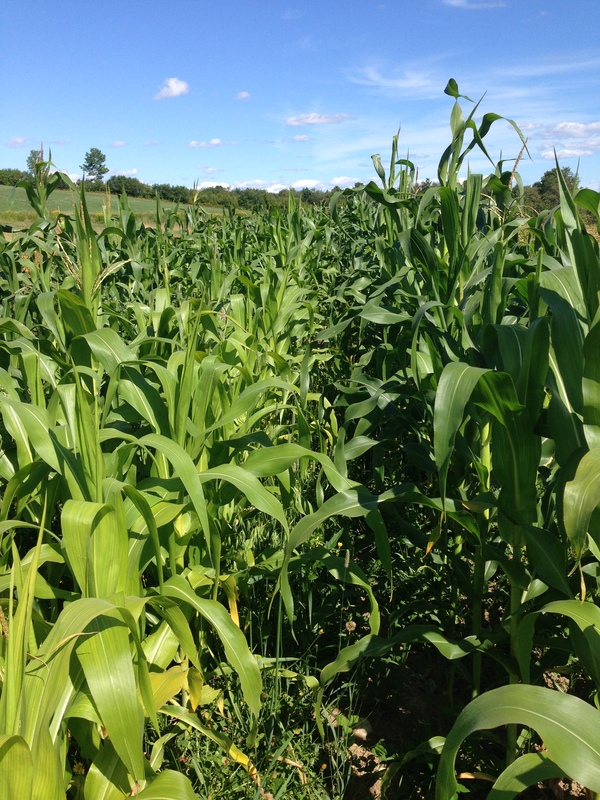 This entry was posted in Farm, Markets on June 2, 2015 by Murphy Family Farm. The farm has been busy with tilling, seeding, transplanting, going to markets, and prepping for our CSA with Siberia Farms which begins on June 4th. 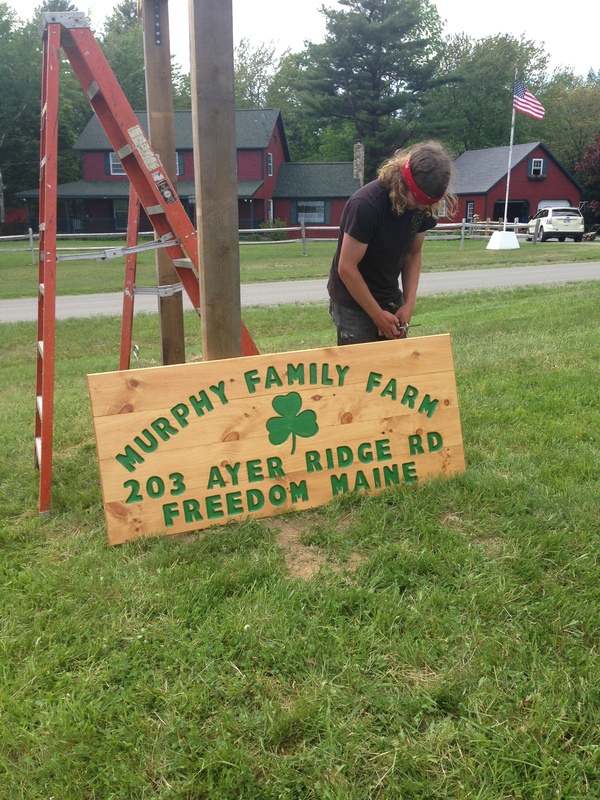 Beyond the usual farm tasks Sean and his dad have been working on putting up the Murphy Family Farm sign his dad made, so this past week they built a sign stand, hopefully the sign will be going up soon! 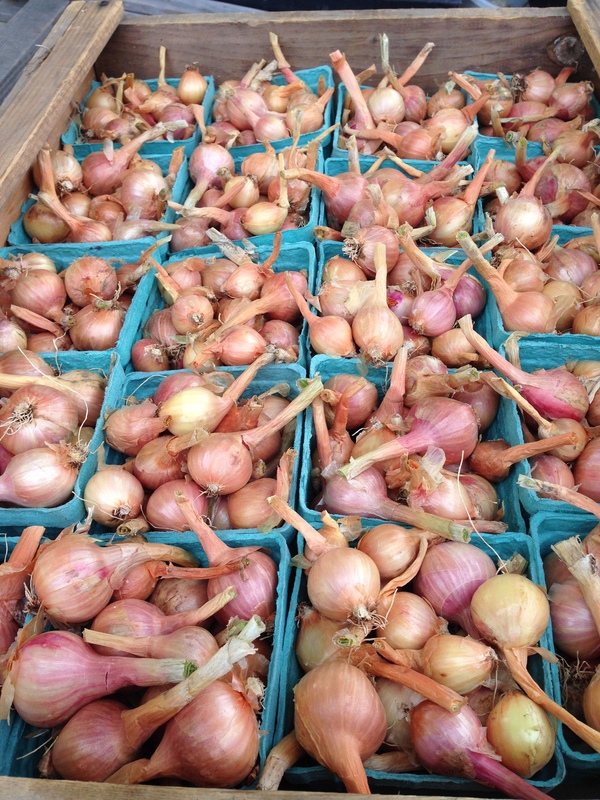 This entry was posted in CSA, Farm, Markets on May 28, 2015 by Murphy Family Farm. 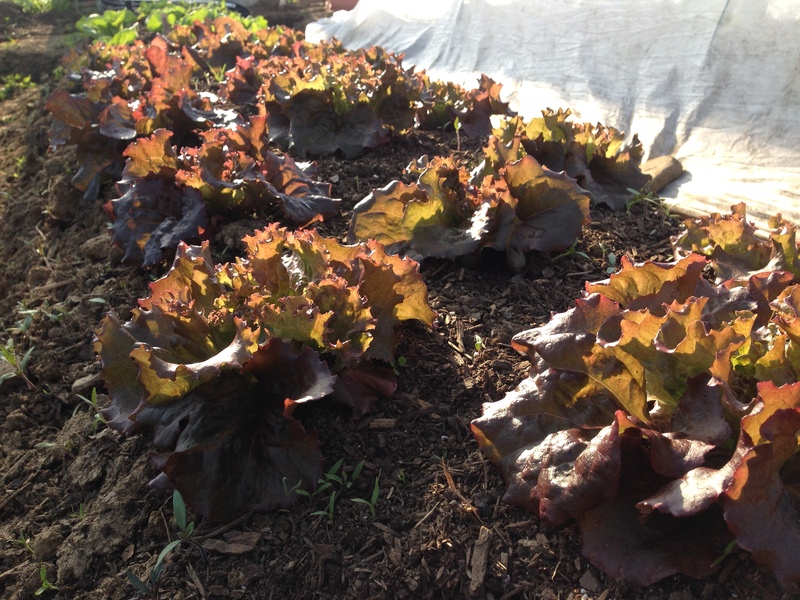 Market, raised beds, and transplanting season begins! 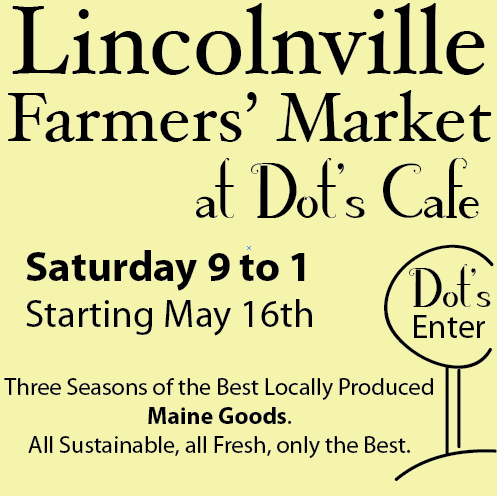 We are growing excited as the time for our first market is quickly approaching this Saturday, May 16th from 9 to 1 at Dot’s Cafe in Lincolnville. 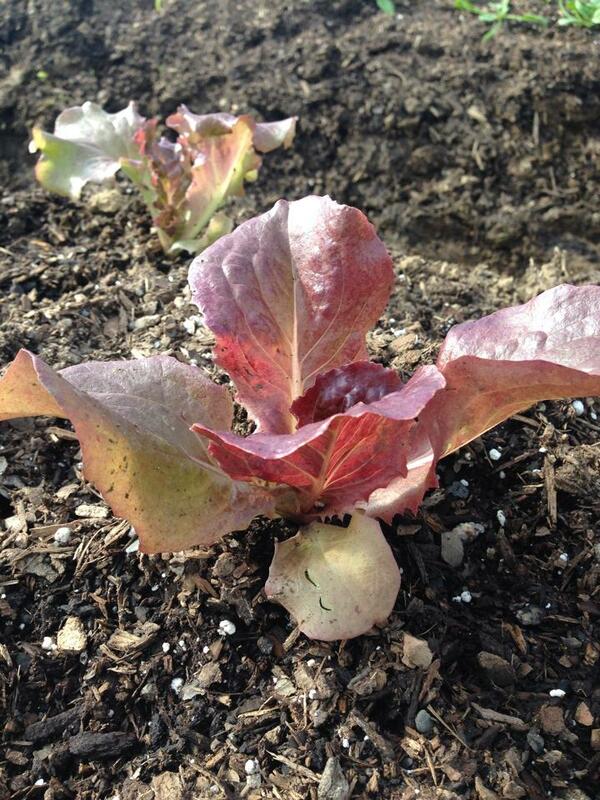 We have a great variety of greens and more planned for the first week! 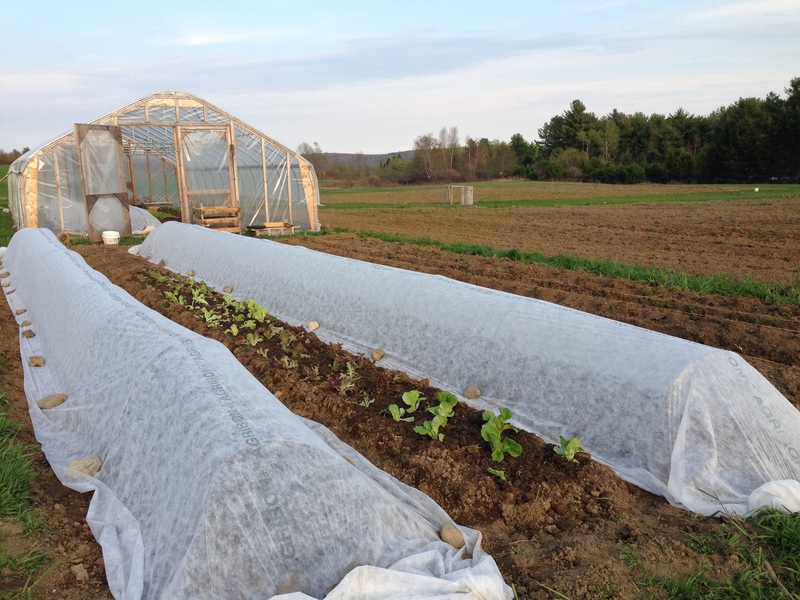 We will be bringing lettuce, spinach, kale, scallions, and seedlings. Collecting fiddleheads and ornamental blossoming cherry branches is also on our list of things to gather for this first market. 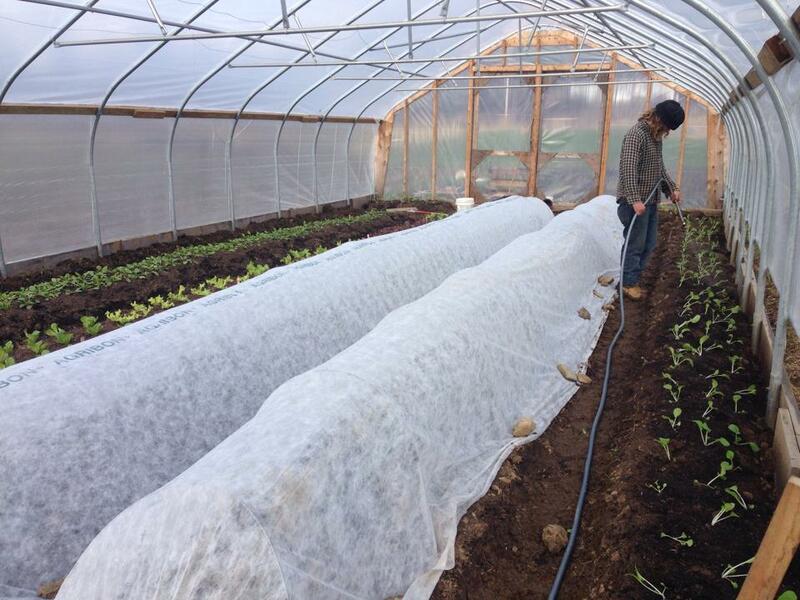 Kale safely stowed under our Remay cover, a cloth covering that helps us to keep out pests allowing us not to spray. 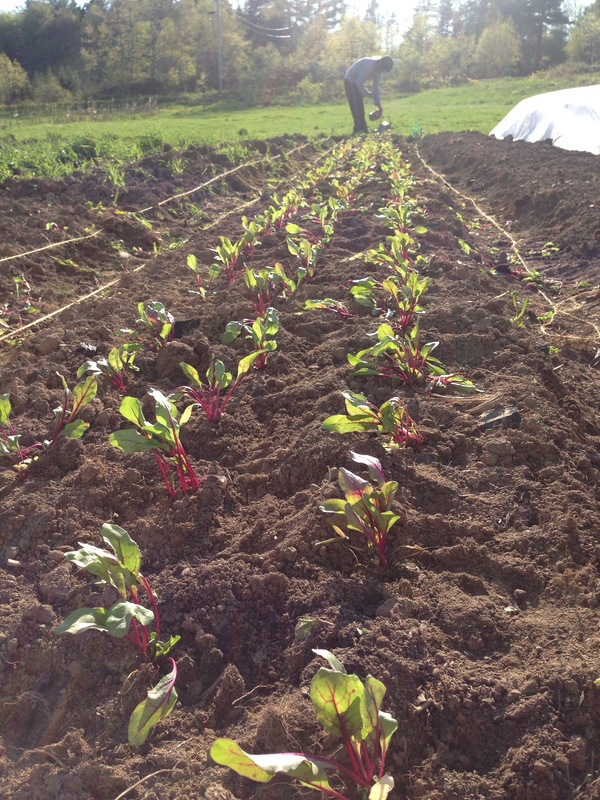 The week has been busy as we have been creating permanent raised beds in our main field. This means a lot of hours are spent shoveling the top soil from the paths in which we walk onto the beds. Once we turn around and look back at the gorgeous beds created it is certainly worth it all! 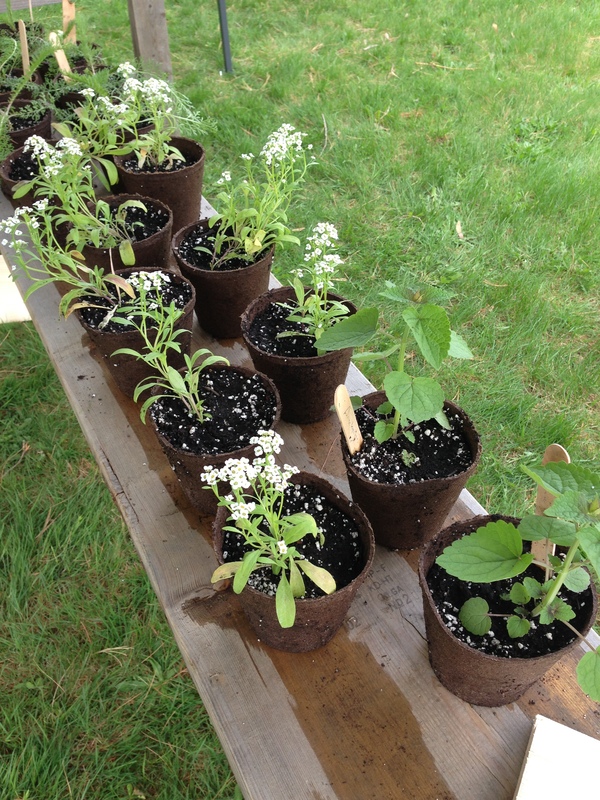 We also spent a lot of time in the field transplanting our beautiful seedlings out. 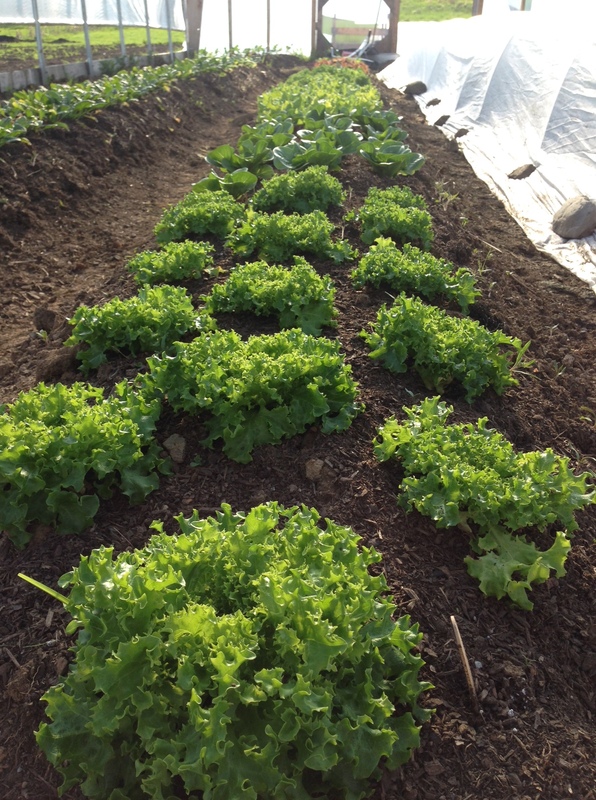 Above is our newer lettuce patch with kale on the left and broccoli on the right, both protected by Remay. 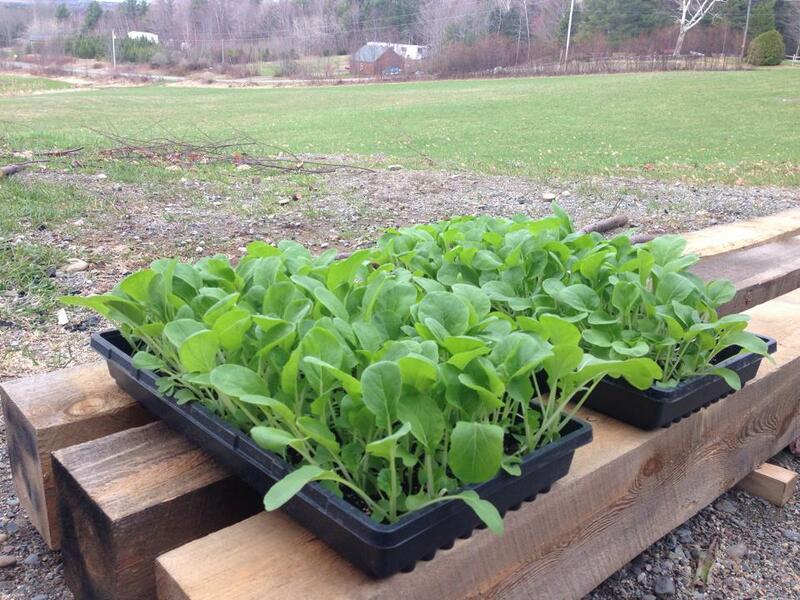 Below are our beets freshly transplanted in the fields and a photo of our broccoli seedlings before they were transplanted. 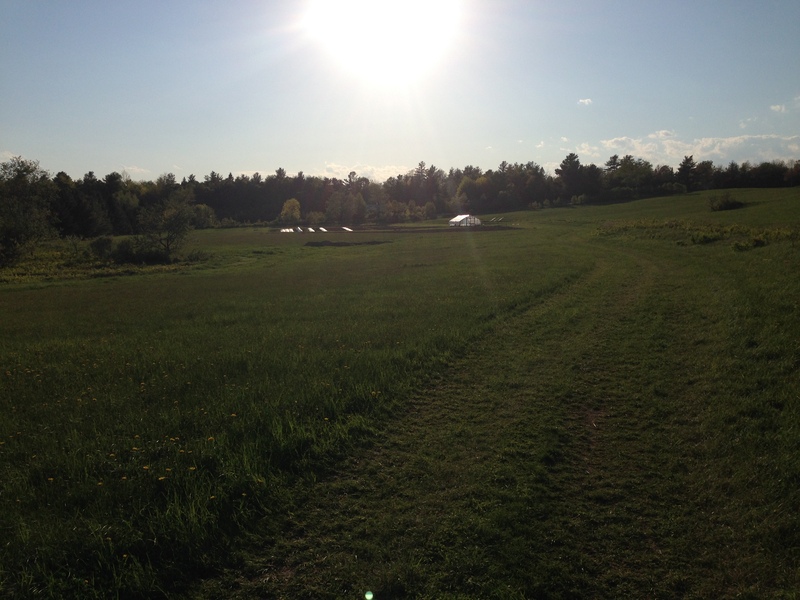 This entry was posted in Farm, Markets on May 14, 2015 by Murphy Family Farm. Suddenly the weather has taken a turn for the better as it has warmed up and the fields are drying out. Tomorrow is the big day when Sean will get out into the field and till it up for the Spring. 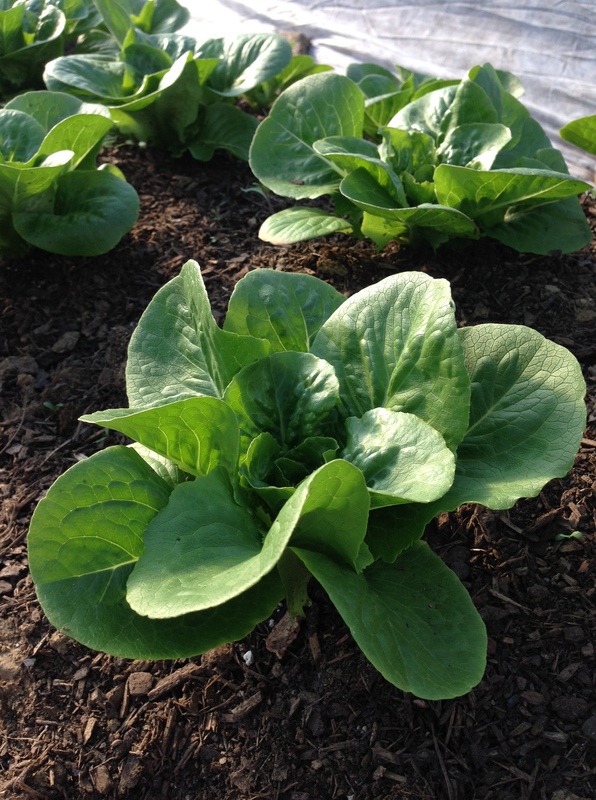 Meanwhile we have filled the hoophouse, most recently planting the last available row with bok choy on a lovely morning off from work. The orchard has also now been planted and although it is a long-term project it is one we are very excited about! This past week we had visitors come to the farm, Anna’s grandparents flew over from Germany and excitedly explored all the farm had to offer. They loved the beautiful views, the lively hoophouse, and the beginnings of our lovely cabin. They also loved the coast and enjoyed several meals at Dot’s Cafe in Lincolnville, the location of our market which is starting next Saturday, May 16th, we hope to see you there! 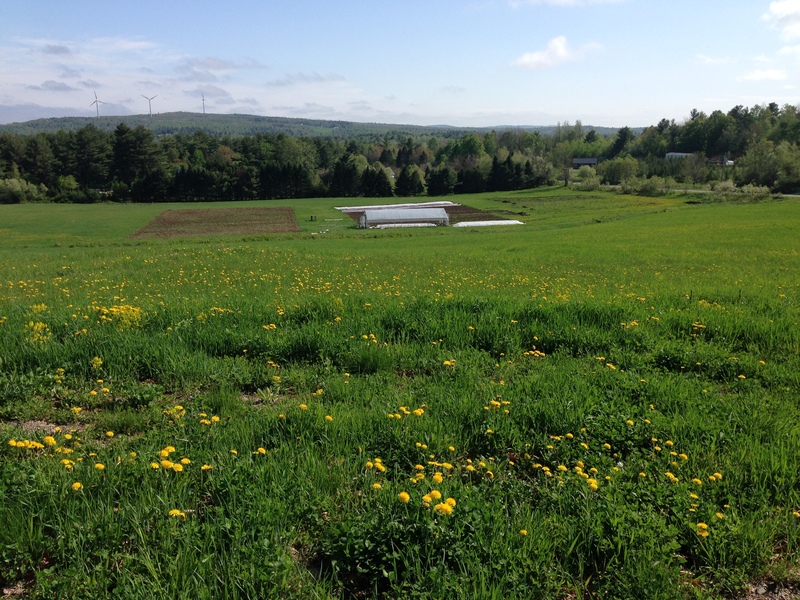 This entry was posted in Farm, Markets on May 6, 2015 by Murphy Family Farm.